The October bank holiday weekend at 5th on Teeling will witness a host of local, national and international acts take to the stage. BRASS: Renegade Brass Band perform on Sunday night. The music mix will be varied with fans of soul, funk, reggae rock n’ roll and pop will have their appetites satisfied and the ever popular Silent Disco makes a return for two nights. Friday night, Oct 23, fans of The Commitments movie are in for a treat as The Rabbittes make their Sligo debut. The Rabbittes are a soul band fronted by Robert Arkins from the Commitments movie. You may remember Robert as Jimmy Rabbitte who played the lead role in the movie. On the Commitments soundtracks, Robert sang the well known songs “Treat Her Right”, “Slip Away”, “Bring It On Home” and “I Thank You”. Robert and fellow cast members won best soundtrack at the Brit awards in 1992 and were nominated at the Grammys the same year. Robert had the pleasure of performing and receiving the honours. Drawing from Commitments soundtracks, The Rabbittes bring their very own sound to the movie’s hit songs “Mustang Sally”, “Try a Little Tenderness” and “Dark End of the Street”, to name but a few. The Academic make their Sligo debut on Saturday Oct 24 in Room 2. The guys who brought you the hit of the summer, “Different” are noted for their live performances so it will be a night to remember. Their current single, “Northern Boy” is causing quite a stir in Ireland and the UK. Gaining support slots with The Pixies, Noel Gallagher and Kodaline shows how highly this band are regarded in the music world. Forming in their early teens, and still in their teens, the future looks bright for this indie outfit from Mullingar. On the same night, Room 1 hosts popular party/covers act Upbeat Generation. A 5 piece soul/funk/disco band who draw influences from The Jackson 5, Stevie Wonder and Jamiroquai. 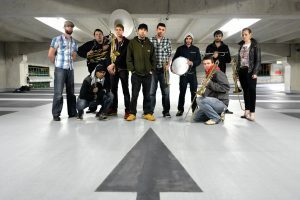 Finishing off the weekend on Sunday is The Renegade Brass Band who combine eight horns with two percussionists, scratch DJ and MC. 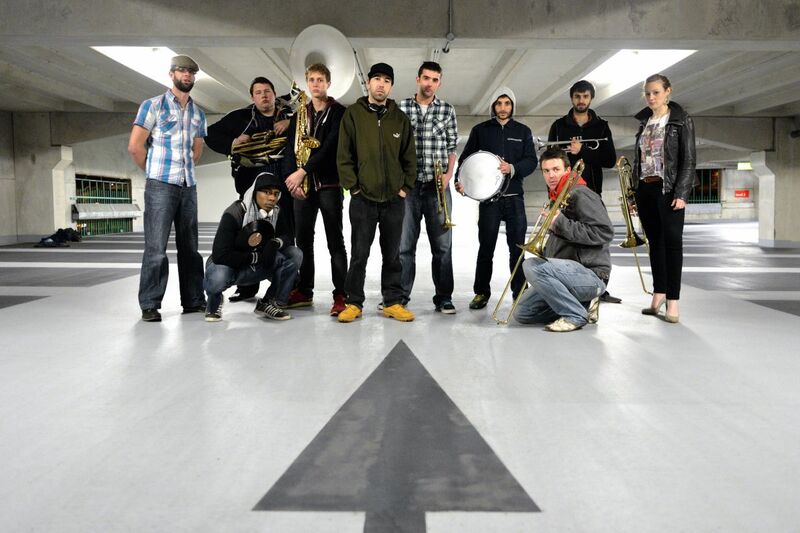 Renegade Brass Band mix jazz, funk and hip-hop with a raw brass sound and high-energy live show. RBB have already established a big live reputation as a headline act, and have played packed-out shows at venues around the UK and Europe. In the last year, they have supported acts including Grandmaster Flash, Public Enemy, Xavier Rudd, The Apples, Quantic, Craig Charles, Rodney P & Skitz, Ms. Dynamite and more. The band released their debut album, ‘RBB: Rhymes, Beats &amp; Brass’ in August 2014, which sees them further develop their hard-edged brass sound – combining raw brass funk with the vocals of V3xation and scratch DJ Zxodiac – as well as a series of remixes later in the year. Sunday night in Room 1 promises to be a ‘reggaelution’ with The Radix. The Radix are an explosive, energetic reggae-rock trio fronted by dreadlocked guitar virtuoso Rion Zion whose unique sound is a cross-fertilization of Jimi Hendrix and Bob Marley. The band was formed in 2014 when Rion joined forces with drummer Keith Horan and bassist Joe Choi, with the mission of bringing up-beat skanking rock to the Irish live music scene. Since then the band have steadily built up a following in their home county of Clare and are continuing to spread their unique reggae-rock fusion sound all over Ireland. On Saturday and Sunday, Room 3 will host a Silent Disco each night. For those who have not experienced one before, check youtube. It’s you, your friends, a set of headphones, two DJs and a whole lot of fun, dancing and sing-along. It will be free in to the front bar each night before 11pm. €10 to Room 2 on Saturday and Sunday for the Academic and Renegade Brass Band and just €5 each night after 11pm until 1am. See www.5thonteeling.com for details or 5th on Teeling on Facebook/Twitter.